WARMING UP TO Support regional sport! Rugby roads may lead you to a television screen this afternoon but why not watch the big Six Nations games from your local clubhouse and, at the same time, support your local rugby team? There are some cracking games on across the region ... in fact Bridgend Ravens are due to play Neath in the Principality Premiership in half an hour, kick off 1130. 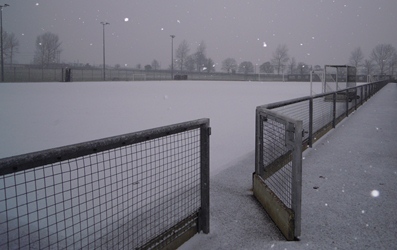 Of course there will be many clubs and teams trying to beat the inclement weather conditions and play, highlighting the advantage of the introduction of artificial pitches. Hockey teams are fortunate enough to be on the ball in this area, so check our fixtures guide for games going ahead in South Wales and the West of England. Today replicates recent "normal" winter Saturdays with scores of pitch inspections and subsequent postponements due to inclement weather conditions. Up until now it's been due to unrelenting rain. Today it's down to the cold snap, the forecast for heavy snow, plummeting temperatures and the knock-on effect for sports teams and their supporters in South Wales and South West England. Cornwall’s cricketers are through to the Minor Counties Knock Out Cup quarter finals following yesterday's thrilling three-wicket win over Hertfordshire at North Mymms. The quarter final will be played at Truro Cricket Club on Sunday June 17 but Cornwall will not know their opponents until the conclusion of MCCA Trophy group games next weekend. I really should be getting ready to go and cover this afternoon's match but sooo many of you tweeting to me personally this morning it's been hard to break away. Exeter Chiefs have bolstered their pack for the 2012/13 season by confirming the signing of Australian international forward Dean Mumm on a two-year deal. The 28-year-old lock is set to leave Super 15 side New South Wales Waratahs at the end of the season and team up with Chiefs ahead of next term's twin assault on the Aviva Premiership and Heineken Cup.